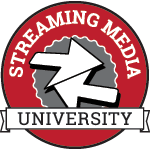 A special track at Streaming Media West, this unique OTT content will provide a full two days of in-depth discussion on how over-the-top video is shaping the future of the media, TV, cable and telecom industries. Hear from experts at leading companies on how to manage change and profit from this emerging shift in the way content is being consumed. The rapid expansion of OTT offerings to the market is creating an abundance of choice for consumers, confusion, content overload and shrinking wallets. This session helps M&E companies and operators understand the software tools needed to build audience awareness and create known users for sustainable economic models. It explores the kinds of systems that companies need to get video to play across all devices, but also to build a sizable userbase and progressively move users smartly from freemium to advertising, pay-per-view, and subscription business models. The way consumers watch video is in flux, but what does that really mean for content producers and service providers? Is the current hot strategy for cable channels to provide streaming options the right move? What types of programming are keeping consumers tied to their service providers? In this interactive session, learn the answers to these questions and others by exploring the latest survey results on cord-cutting/shaving, TV Everywhere, mobile viewing, future viewing plans and more. The presentation breaks down the results by age demographics and features findings not previously released publicly. Jonathan Hurd, Director - Altman Vilandrie & Co.
Special Lunch Presentation: Why Be a Device Slave? 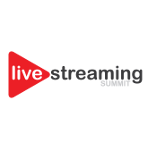 During this special luncheon presentation, speakers will present case studies detailing how they’ve leveraged software-defined video platforms from Elemental to take the variables out of the multiscreen/OTT content delivery equation. Gain insights about the single, unified software-defined workflow approach these major enterprises use to provide highly scalable conversion of large amounts of content and assure full redundancy across multiple regions, geographical locations or head-ends. Learn how they simplify support for multiple revenue-generation models. This session discusses how advertisers can more effectively and efficiently reach a buyer of a product or service with OTT than any other media. Over-the-top TV apps have access to an enormous amount of information about a prospective buyer of a product or service. By using real-time analysis of social media, geo-location, keywords, and historical buying habits, the metadata managed by an OTT platform can be used to predict real-time buying. As a result, this predictive buying translates into a higher cost per point/cost per lead that an advertiser is willing to pay for qualified buyers. Hear about some of the technology being used, the advertising research it enables, and benefits and challenges of this new advertising buying process. From Netflix, HBO and Showtime, to broader offerings such as Dish’s Sling, CBS’s All Access, Comcast’s Stream, and Apple TV, rumored to launch in the fall, there are a lot of OTT options. Are we ensuring differentiated experiences for consumers, or are we building a slew of “me too” services? With reports showing OTT revenues are expected to top $10B within the next few years, are content owners building a healthy marketplace with enough competition and differentiation for revenues to continue to grow? This panel explores the business strategies behind the unbundling and unraveling of the industry as it moves from cable to the cloud and the subsequent sprint to build new OTT experiences. OTT service providers have already gone ahead of the traditional VOD providers by providing 4K content to their subscribers. But is it giving the consumers the wow factor that they’re looking for, and is it really ultra HD? Internet deployment models have continued to push traditional broadcast video with more choices and evolved viewer experiences that are deployed quickly and often without heavy reliance on standards. What does this mean for ultra HD in OTT services? How does it scale across the industry and how is the term ultra HD ultimately defined? This panel features senior experts from content owners, studios, technology providers and service operators who give their individual perspectives on how ultra HD will scale across the industry and the evolution of the viewing experience within the next 5 years. The exhibit hall reception is the perfect location to meet with the leading companies in the industry in a relaxed atmostphere. Don't miss the 2nd annual Streaming Media Beer Garden where we'll get the chance to sample a selection of good brews and yummy eats. It's a fun night under the stars at beautiful Hyatt resort with industry peers that you won't want to miss!